Spend any amount of time reading about tropical forests around the world and you are destined to come across mention of dipterocarp forests. If you're anything like me, your initial thought might have been something along the lines of "what the heck does that mean?" Does it describe some sort of structural aspect of the forest, or perhaps a climatic component? To my surprise, dipterocarp forests refer to any forest in which the dominant species of trees are members of the family Dipterocarpaceae. Thus, I was introduced to a group of plants entirely new to me! 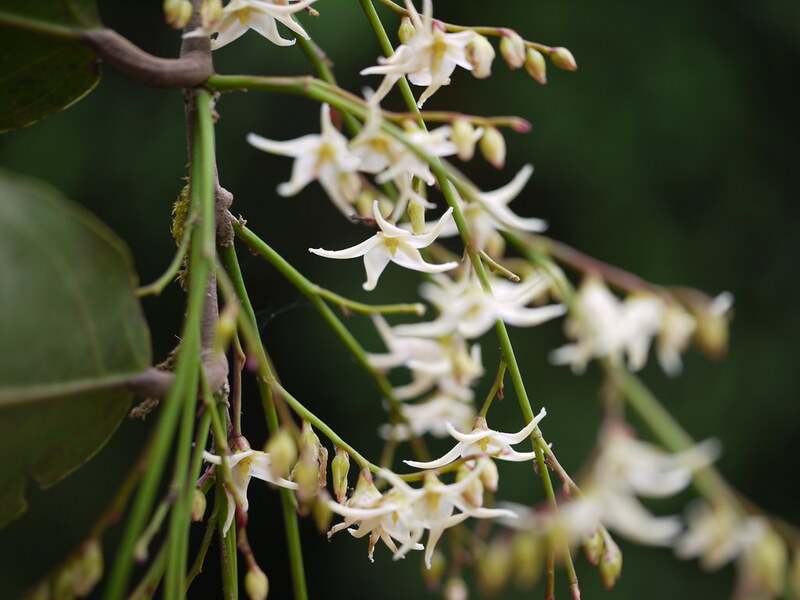 The family Dipterocarpaceae is comprised of 16 genera and roughly 700 species. Its members can be found throughout the tropical regions of the world, though they hit their greatest numbers in the forests of southeast Asia and specifically Borneo. As far as habit is concerned, the dipterocarps are largely arborescent, ranging in size from intermediate shrubs to towering emergent canopy trees. If you have watched a documentary on or been to a tropical forest, it is very likely that you have seen at least one species of dipterocarp. The dipterocarps have a long evolutionary history that stretches back to the early Triassic on the supercontinent of Gondwana. As this massive landmass proceeded to break apart, the early ancestors of this group were carried along with them. Today we can find members of this family in tropical regions of South America, Africa, and Asia. Taxonomically speaking, the family is further divided into three sub families that, to some degree, reflect this distribution. The subfamily Monotoideae is found in Africa and Colombia, the subfamily Pakaraimoideae is found in Guyana, and the subfamily Dipterocarpoideae is found in Asia. Biologically, the dipterocarps are quite fascinating. Some species can grow quite large. Three genera - Dryobalanops, Hopea, and Shorea - regularly produce trees of over 80 meters (260 feet) in height. The world record for dipterocarps belongs to an individual of Shorea faguetiana, which stands a whopping 93 meters (305 feet) tall! That's not to say all species are giants. Many dipterocarps live out their entire lives in the forest understory. For species growing in seasonal environments, flowering occurs annually or nearly so. Also, for dipterocarps that experience regular dry seasons, deciduousness is a common trait. For those growing in non-seasonal environments, however, flowering is more irregular and leaves are largely evergreen. Some species will flower once every 3 to 5 years whereas others will flower once every decade or so. In such cases, flowering occurs en masse, with entire swaths of forest bursting into bloom all at once. These mast years often lead to similar aged trees that all established in the same year. Though more work needs to be done on this, it is thought that various bee species comprise the bulk of the dipterocarp pollinator guild. Ecologically speaking, one simply cannot overstate the importance of this family. Wherever they occur, dipterocarps often form the backbone of the forest ecosystem. Their number and biomass alone is worth noting, however, these trees also provide fruits, pollen, nectar, and habitat for myriad forms of life. The larger dipterocarps are often considered climax species, meaning that they dominate in regions comprised of mostly primary forest. For the most part, these trees are able to take advantage of more successional habitats, however, this has been shown to be severely limited by the availability of localized seed sources. Since we are on the topic of regeneration, a conversation about dipterocarps would not be complete if we didn't touch on logging. These trees are massive components of tropical economies. Their wood is highly coveted for a a variety of uses I won't go into here. The point is that, on a global scale, dipterocarp forests have taken a huge hit. Many species within this family are now threatened with extinction. Logging, both legal and illegal, specifically aimed at dipterocarps has seen the destruction of millions of acres of old growth dipterocarp forests. With them goes all of the life that they support. It's not enough to protect individual species. We need to rally behind whole ecosystem protection. Without it, we literally have nothing. 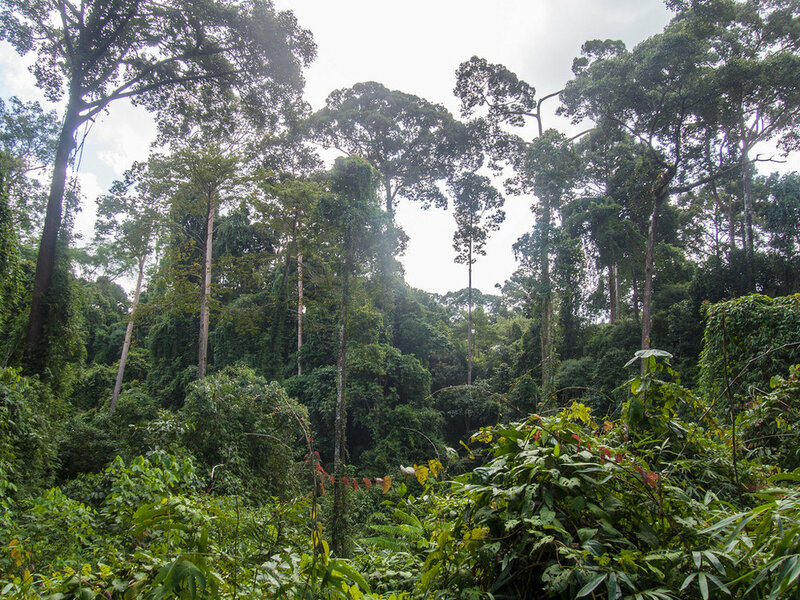 Luckily there are groups like the Center For International Forestry Research and the Forest Research Institute of Malaysia that are working hard on research, conservation, and improved forestry standards in an effort to ease up on the detrimental practices currently in place. Still, these efforts are not enough either. Without the care, concern, and most important, the funding from folks like us, little can be done to stop the tide. That is why supporting land conservation agencies is one of the most powerful things we can do for this planet and for each other.